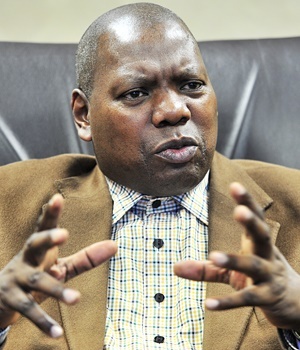 Minister of Cooperative Governance and Traditional Affairs Zweli Mkhize said on Monday that his department received a boost with the appointment of 81 new engineers and town planners. These include 9 provincial managers, most of whom are engineers, 36 civil engineers, 14 electrical engineers, 16 town and regional planners and 17 candidate civil engineers. The Municipal Infrastructure Support Agent (MISA) would also receive 62 young graduates that would assist with struggling municipalities with their infrastructure needs. Speaking in Pretoria on Monday morning, Mkhize said the department’s support would go a long way to assist municipalities struggling to maintain and refurbish ageing or deteriorating infrastructure. "Earlier this year I indicated that the performance of the majority of municipalities remained below expectations. I said only seven percent of the country’s municipalities are classified as well-functioning, with 31% being reasonably functional, 31% almost dysfunctional while the remaining 31% is dysfunctional," said Mkhize. The MISA exists to give support to municipalities, offering conditional grants and professional expertise. A critical challenge continuing to undermine the delivery of infrastructure across South Africa’s councils is the lack of skills needed to develop, maintain and refurbish infrastructure. Protests causing damage to infrastructure exacerbate this. Mkhize told attendants at his department’s offices that the CoGTA support programme for municipalities would run until the end of April 2021. "As part of youth development, MISA has appointed 62 young graduates in civil engineering, electrical engineering, town and regional planning, project and construction management as well as solid waste management. Our overall recruitment programme is continuing," said Mkhize. Mkhize said the majority of South Africans from the country's poorest communities have borne the brunt of the lack of capacity to support infrastructure development, maintenance and refurbishment. "We have a huge responsibility to improve the management of key infrastructure, especially in predominantly black residential areas, where people are suffering from the outages of electricity, breaking water pipes and building new infrastructure altogether," said Mkhize. He said the multi-year programme would not only plug the holes in government’s public infrastructure support programmes, but also renew capacity at the MISA. "The MISA has advertised for more engineers and town planners to fill the current vacancies, as MISA’s organogram makes provision for a total of 150 technical experts. "This means that there are still going to be more brought on board," he said. He said the department had identified 87 distressed and dysfunctional municipalities for intervention towards recovery, working with the National Treasury. *Update: This article was updated at 17:40 on Monday 6 August to include the fact that 81 new engineers and town planners had been appointed.